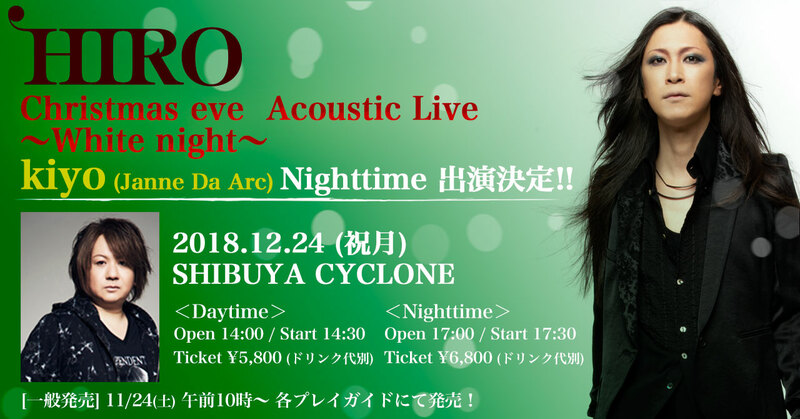 HIRO クリスマス公演 12/24(祝・月)『Christmas eve Acoustic Live 〜White night〜』Nighttimeにkiyo (Janne Da Arc)出演決定!! 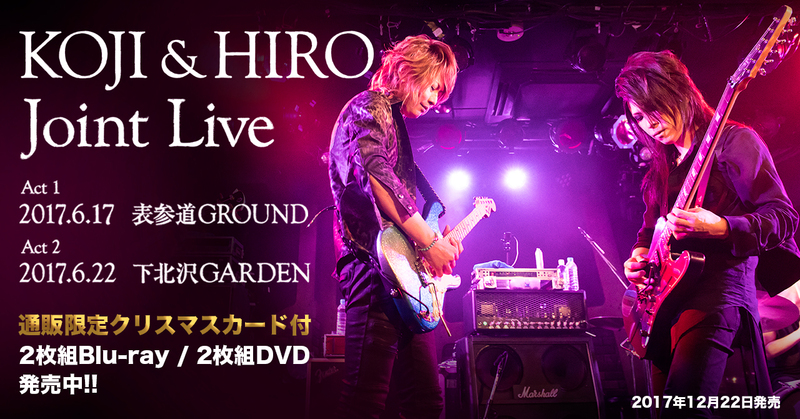 HIRO Solo Live 追加公演『Midnight sun over the next』にて、当日HIROが着用したTシャツを来場者様の中から抽選で各日1名様にプレゼント決定!! 2018年1月公演「KOJI & HIRO Joint Live "Happy New Year 2018 Special LIVE!!”」に、ゲストヴォーカル決定!! 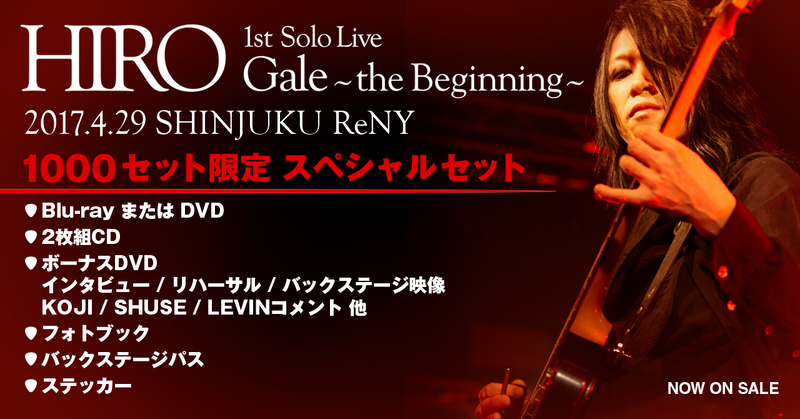 6日(土) 田澤孝介(Rayflower) / 7日(日) Ricky(DASEIN/RIDER CHIPS) 出演!! 《History of La'cryma Christi プレゼント企画》6/8赤坂BLITZ公演で、5/5SHIBUYA-AX公演時にメンバーが着用したツアーTシャツを直筆サイン入りでプレゼント!!開演前に場内アナウンスで当選チケット番号を発表! 『History of La'cryma Chrisi』6/8(土)赤坂BLITZ公演チケットSOLD OUT!! 「La'cryma Christi 15th Anniversary Live -Special Box-」の最終特典が発表!! 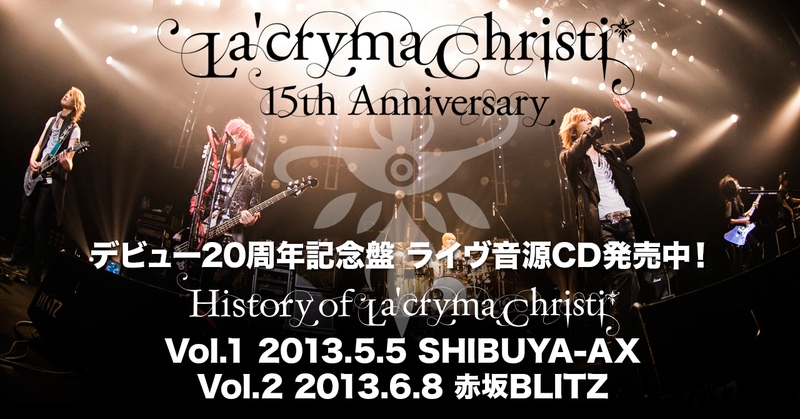 2013年3月20日発売「La'cryma Christi 15th Anniversary Live -Special Box-」の追加特典が発表!! 「La'cryma Christi 15th Anniversary Special」の再放送が決定!! ＜Nighttime＞※kiyo (Janne Da Arc) 出演決定! !